The Classification Society Korean Register (KR) and Swiss Climate EcoCare GmbH has signed a memorandum of understanding (MOU) to provide enhanced International Maritime Organization (IMO) Data Collection System (DCS) services to the maritime industry.According to a release, the MoU was signed in Hamburg, Germany on 22nd Nov 2018 in presence of Philipp Ahrenkiel, Managing Director at Swiss Climate EcoCare GmbH and Michael Suhr, Technical & Commercial Director at Korean Register, Germany. The U.S. Coast Guard and DNV GL have signed a memorandum of agreement (MOA) authorizing DNV GL to participate in the Alternate Compliance Program (ACP) and delegated certain survey and certification services for U.S. flagged vessels. This delegation and MOA, signed by Rear Adm. Paul Thomas, assistant commandant for prevention policy, and Captain Blaine Collins, DNV GL vice president of group government and public affairs for the U.S., supersedes the agreements previously executed by DNV and the Coast Guard on August 4, 2006, and GL and the Coast Guard on September 7, 2011. ABS Group anticipated the update to Circular A-123 from the United States (US) Office of Management and Budget (OMB) requiring US executive departments and agencies to adopt enterprise risk management (ERM), and has expanded its suite of ERM advisory solutions aimed at risk-informed decision making and mitigation strategies. To help organizations comply with the new guidance and manage their risk exposure, ABS Group provides a suite of advisory resources and proprietary risk management tools through the Company's safety, risk and compliance services business unit. Contract covers inspections from manufacturing, transport, installation and commissioning of wind farm. E.ON has awarded the project certification contract for the new Arkona offshore wind farm to DNV GL. The project covers the inspection phases, from manufacturing, transport, installation and commissioning to take the wind farm into operation. The Arkona offshore wind farm is a 385 MW offshore wind farm which is currently being developed by E.ON. The wind farm will be located 35 km northeast of Rügen Island, in the Baltic Sea, Germany. More than 230 students received their degrees from SUNY Maritime College last week, the largest class in the college’s 142-year history. 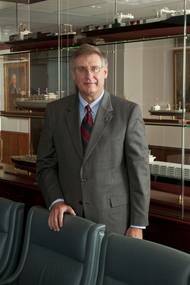 In addition to giving the students their bachelor’s degrees and U.S. Coast Guard licenses, the college also gave an honorary doctorate to Chris Wiernicki, president and CEO of the American Bureau of Shipping. Wiernicki gave the commencement address, giving advice to the students about how to be leaders. “The only difference between you and me is 36 years,” said Wiernicki. “In the context of that, I want to talk to you about leadership. RINA Services and the Asian Classification Society (ACS) recently classified the first two general cargo ships at 15,000 GT owned by IRISL, a major shipping company in Iran. This dual classification is the result of a partnership signed with the Tehran-based ACS shortly after sanctions in Iran were lifted. RINA Services’ marine classification in this area reflects Italy’s strong commitment to forging long-standing relationships with countries in the Middle East and now in Iran in particular. “All classification societies are trying to enter the Iranian market. 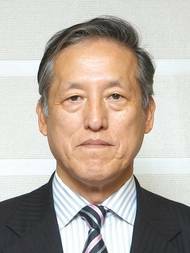 Current Executive Vice President Koichi Fujiwara has been appointed as Chairman and President as well as a Representative Director of classification society ClassNK, effective March 7, 2016. Current Executive Vice Presidents Yasushi Nakamura and Tetsuya Kinoshita will continue in their present roles on the team, joined by Junichiro Iida as Managing Director. Noboru Ueda has stepped down as Representative Director, Chairman and President. Current Executive Vice President Tetsushi Agata has been appointed as an Executive Auditor as part of the Society’s aim to strengthen its auditing system. After becoming the first classification society to issue Cargo Ship Safety and Small Commercial Safety Certificates to two Trinidad and Tobago vessels LR was recently authorised by several Caribbean flag administrations to carry out surveys and issue certificates under new codes on their behalf. Code of Safety for Caribbean Cargo Ships (CCSS). This applies to ships of under 500gt. The administrations authorising LR are: The Bahamas, Belize, Cayman Islands, Trinidad & Tobago and St. Kitts & Nevis Code of Safety for Small Commercial Vessels operating in the Caribbean (SCV). ClassNK will be bringing its PrimeManagement series of seminars to Ukraine and Bulgaria for the first time on March 26 and 28, 2013, respectively. The seminars, which are offered free of charge, have drawn large audiences in Japan, the Philippines, India, and the other countries where they have been held. In Eastern Europe, the seminars were held in Croatia and Romania last year. ClassNK PrimeManagement is the collective name for the total package of the certification services ClassNK provides as an independent third party. Focusing on the theme “Future trends and new challenges in maritime simulation,” Transas Simulation User Conference couldn’t miss the topic of Energy Sector Simulation Applications. This session will cover most of subjects vital for offshore training one of them being the new Naitical Institute DP training scheme. Regina Bindao, Manager of Accreditation & Certification Services, The Nautical Institute, will present details to participants regarding the new NI DP training scheme/requirements for 2014, and their objectives. Seaworthy Ltd. A new service provider for marine equipment manufacturers and system developers has entered the industry. Seaworthy Ltd. specializes in marine approval and certification services, such as type approval and system certification, offering a wide range of services, including pre-tailored service packages and bespoke consultancy. Examples of Seaworthy’s services include assistance in marine equipment and system certification, including development and testing. Seaworthy is based in London and the South of UK, serving international clients. ClassNK has announced the acquisition of Victoria, Canada-based maritime software company Helm Operations. The deal was hailed by both parties as two world-class companies joining forces to improve safety and operational efficiency in the marine industry, while greatly enhancing the success and capabilities of both organizations. Tokyo-based ClassNK is one of the world’s largest classification societies, providing safety and certification services for more than 8,600 ships, representing about 20% of the global merchant fleet. The Nautical Institute informs it is is enhancing its sector management structure with the creation of a new role with overall responsibility for business development, personnel and product management of a key department, reflecting the increasing demand from industry for training services. It is currently recruiting for the new post of Chief Operating Officer, whose main responsibilities will include but will not be limited to taking the accreditation and certification department into a strategic position within the industry. ABS has added the first Japanese-flagged vessel to its classed fleet after having been awarded the status of a 'Recognized Organization' (RO) by the Japanese government. YAMATOGAWA, a 302,488 deadweight-ton very large crude carrier owned and managed by Kawasaki Kisen Kaisha Ltd. ("K" Line), recently transferred flag, a move which made ABS the first foreign classification society to class a vessel flying the Japanese flag. "We are honored to become the first foreign class society to include a Japanese-flagged vessel in our fleet. Chairman and President: Noboru Ueda of ClassNK announced the establishment of a new Renewable Energy Department. This new department which began operations on 1 October 2014 will oversee a diverse range of activities related to renewable energy, including audits and certification of new technologies. While ClassNK has previously provided certification for wind turbines, vast technological advances have made it possible to practically harness the power of alternative energy sources such as wave power, tidal power, and ocean thermal energy conversion. Leading classification society ClassNK has received authorization from Transport Canada to carry out statutory surveys on Canadian-flagged vessels on behalf of the Government of Canada. ClassNK has maintained a presence in Canada since the establishment of its Vancouver Office in 1995, now one of nine exclusive survey offices maintained by ClassNK across the North American region. As a result of the authorization ClassNK will now be able to carry out surveys, audits, and issue certificates for SOLAS, MARPOL, Load Line and other international conventions for Canadian-flagged vessels. Classification society ClassNK and Rio Tinto Iron Ore (part of the Rio Tinto Group, one of the world’s largest metal and mining companies), announced that they have signed a collaborative agreement focused on the safe carriage of iron ore. The agreement was signed at a ceremony held after a meeting of executives from both companies at the Rio Tinto Japan office on 3 December 2013. ClassNK Executive Vice President Yasushi Nakamura and Warwick Smith, Managing Director, Sales and Marketing for Rio Tinto Iron Ore, signed the agreement on behalf of their respective organizations. The world’s largest classification society ClassNK announced that it was granted expanded authorization from the United States Coast Guard (USCG) on 25 December 2012, and will now be able to carry out a full range of surveys for the SOLAS, MARPOL and AFS conventions, as well as ISM Audits on behalf of the United States flag administration. The announcement was made following a visit by ClassNK Executive Vice President Dr. Takuya Yoneya to USCG Headquarters in Washington D.C. on 7 January 2013. During the visit Dr.